JULY 2018 • LONGISLANDPRESS.COM 15 Is pain keeping you from enjoying life? Don’t let pain keep you from life’s little pleasures. 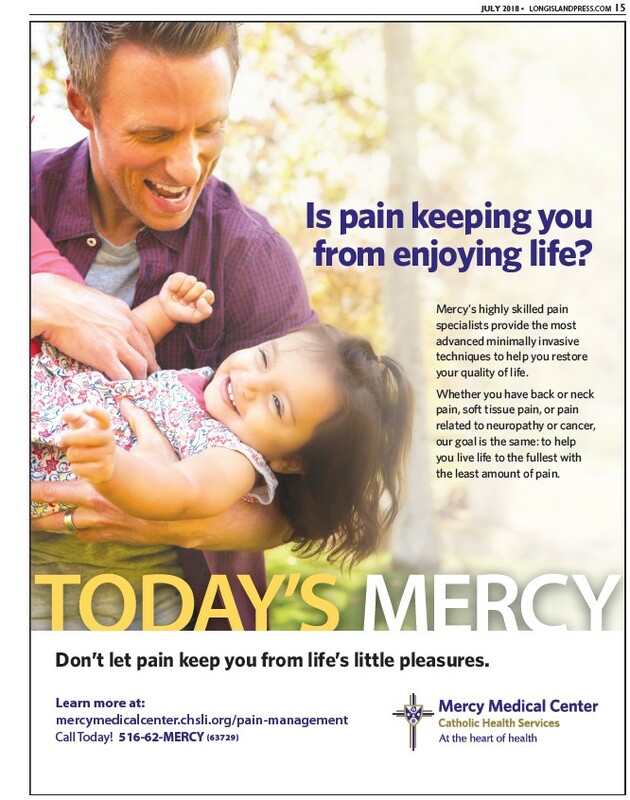 Learn more at: mercymedicalcenter.chsli.org/pain-management Call Today! 516-62-MERCY (63729) Mercy's highly skilled pain specialists provide the most advanced minimally invasive techniques to help you restore your quality of life. Whether you have back or neck pain, soft tissue pain, or pain related to neuropathy or cancer, our goal is the same: to help you live life to the fullest with the least amount of pain.